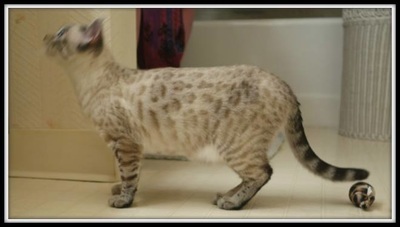 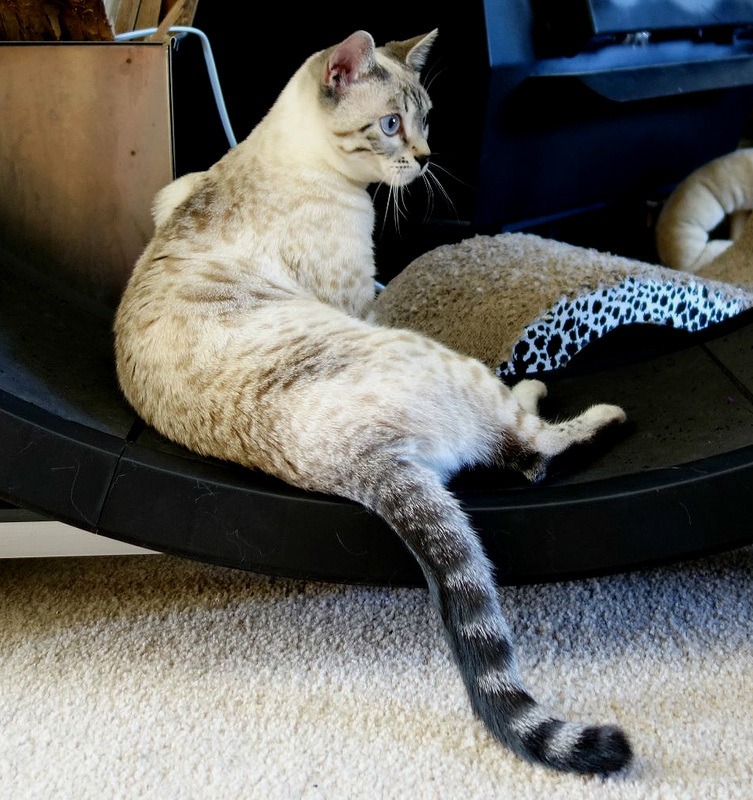 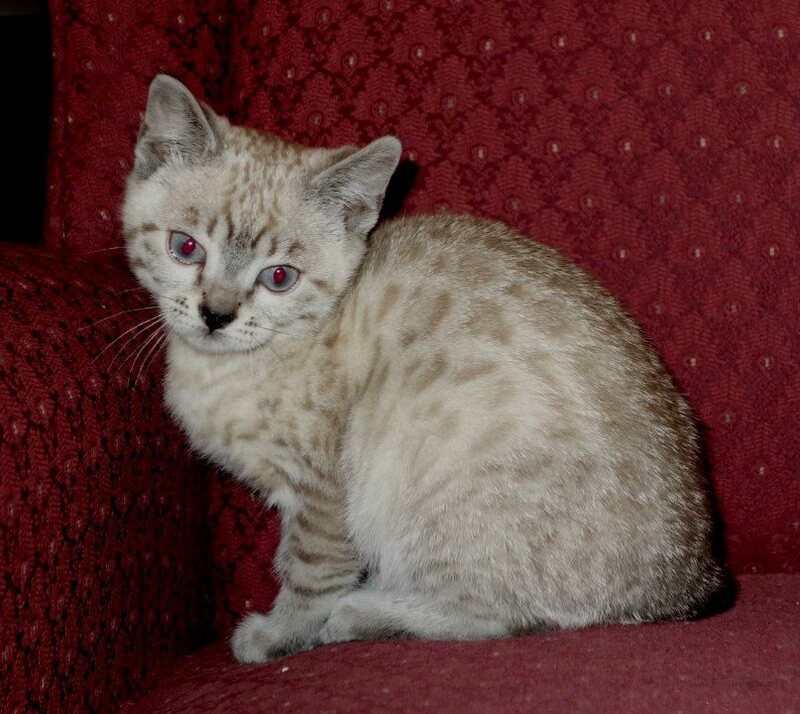 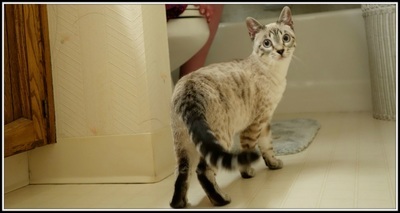 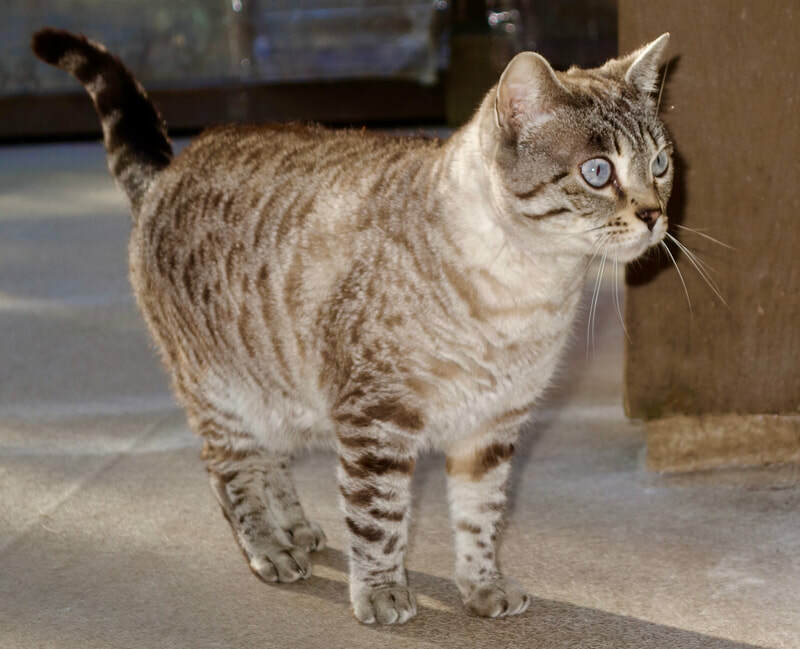 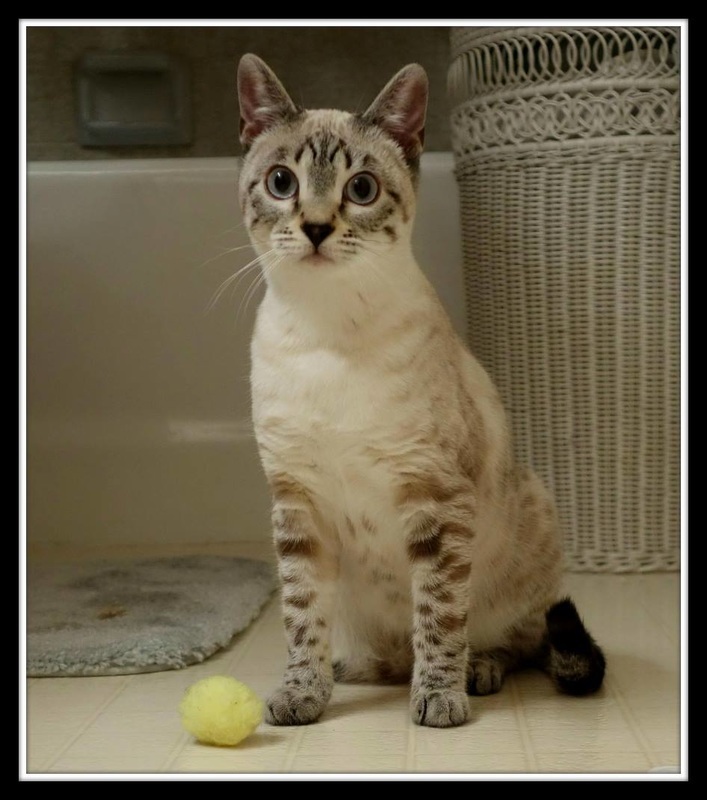 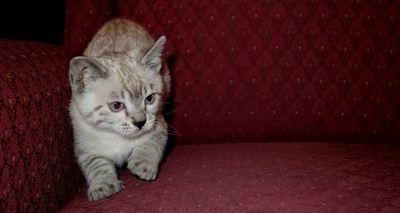 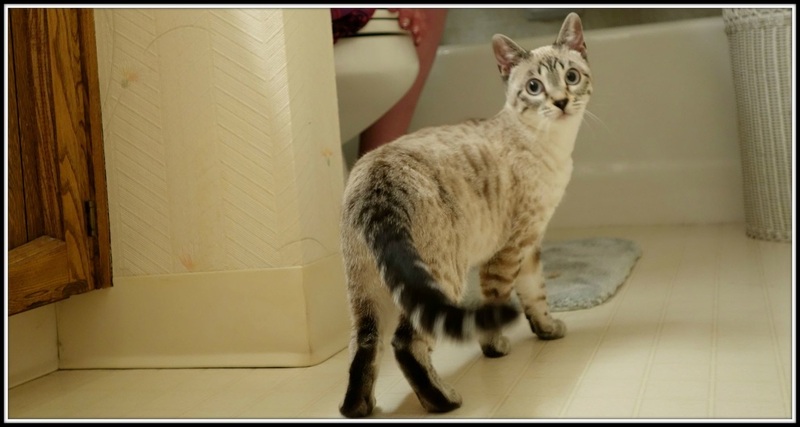 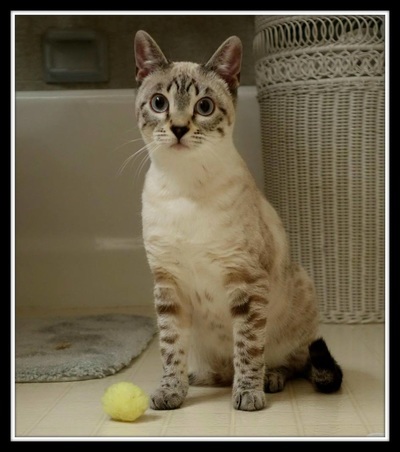 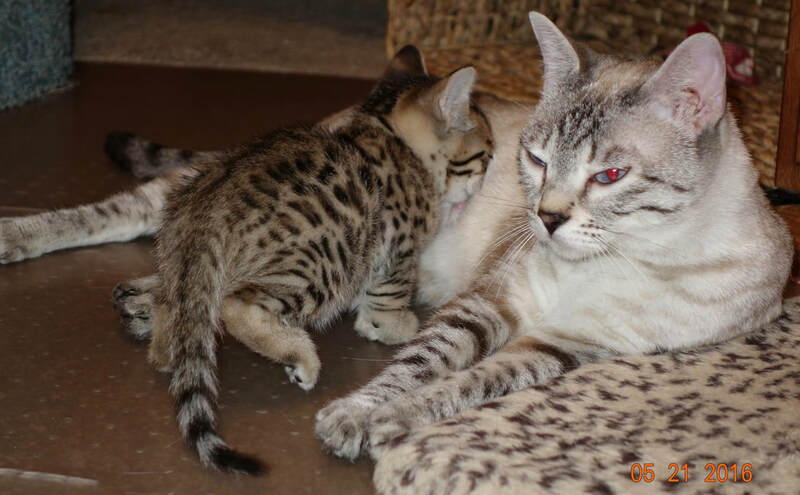 Sari's Jaci - Northwest Bengal Cats Beautiful, friendly Bengal Cats and kittens for sale in the Pacific Northwest of Oregon. 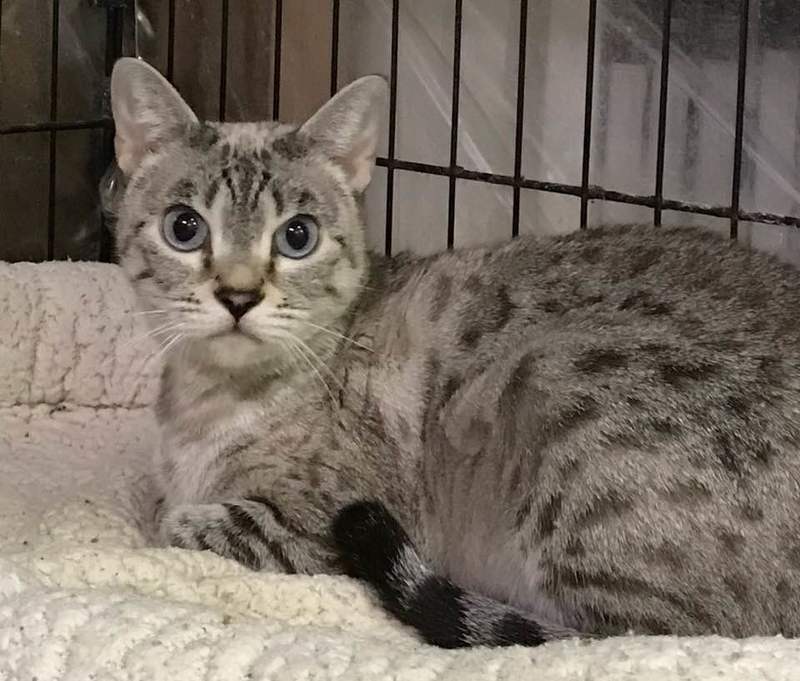 Jaycee is a bit on the shy side and will need someone with the patience to wait for her to choose to be close to them. That will be easier and quicker in a smaller space as she has a high flight instinct. 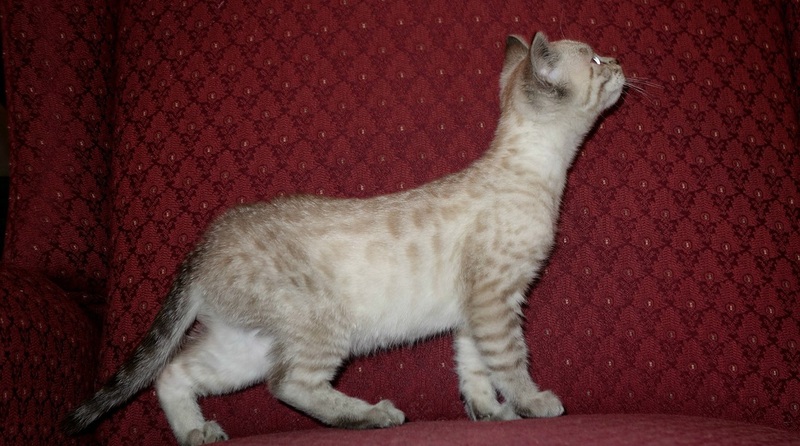 She's active and playful, especially with a feather wand, she would be best as an only cat although dogs might be OK.